Where Next for the Liberal Democrats? | But what does Richard Kemp think? Many people have already rushed to judgement on the debacle for the Lib Dems of May 7th. In fact some did not wait for the election but started denouncing and predicting what would happen in May 2010! I have never been a great one for post mortems and detailed introspection but I will first comment on what has happened in the past 5 years and whether I would have changed what we did. In May 2010 the Country was on the edge of a cliff. Our economy as off track; our government, commercial and personal debt was one of the highest in the World and we had a tired, knackered Government which was incapable of leadership. 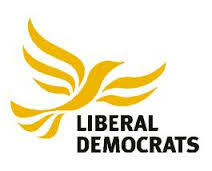 I strongly believe that the Liberal Democrats had no choice other than to enter into the coalition that it did. You can never create to a counter universe to examine what would have happened if we had not done so. However I believe that this Country would have entered into an inexorable downward spiral and that the real losers would have been the most poor and the most disadvantaged. Firstly, we are already beginning to see what it was that the Lib Dems prevented from happening. I know from personal experience the amount of firefighting that our Ministers did. Just preventing the nasty side of an often nasty Party coming to the fore was, in itself, an achievement. Already we know that the snooper’s charter is back. Already we know that the poor will suffer mightily with massive amounts of benefits cuts which will soon be specified. Already we know that the Tories will risk our economic future with ill-judged actions with regarding Europe and a destabilising referendum. We must be clear where we stand on these issues and put our principles into practice. Secondly, we can now revert to type. The Liberal Democrats are basically a ‘Left of Centre’ Party whose basic instincts were obscured by the need to deal with the fiscal and financial imbalances. We are a Party of Fiscal responsibility because without the income coming in you don’t have the money to spend on those that need it. We no longer have to be on the defensive but can move to the offensive! We must emphasise our basic compassion for the poor and needy and need for the adequate provision of public services. In short we must re-emphasise our basic beliefs that we believe in a society where, “none shall be enslaved by ignorance, poverty or conformity”. So let’s look at what happened on 7th and see if there is a way forward. I modestly start with my own Church Ward although there are similar stories that can be told of people who survived and sadder stories about those who did not. I am still a Councillor because most people in my ward do not see me as a Party Politician first but as a community champion first. That does not mean that I have ever hidden my politics. I have not tried to pretend that I am an independents with a bit of politics. I have no doubt that people knew my Party colours but it is true that many people ignored them. I believe that in my Ward people see the practicality of the politics that I endorse. Erica and I don’t talk ‘bottom up – top down’ Erica and I do it! We are a green environmental Party. Naturally we oppose the building of homes on our green open spaces. Politically we have worked inside the Town Hall moving resolutions etc. BUT I did not lead the campaign in the community. We called a meeting to establish a new local campaign group and about 50 people came to it. Halfway into the meeting I left it having explained the parameters of the situation and what could or could not be done. Had I stayed it would have become Party-Political. Parks are more important than being hijacked as an issue by one Party. We now work in parallel with a community led body whom we strengthen by our technical and political knowledge and who in turn strengthen us by their energy and enthusiasm. I think that this sort of interaction is vital. For the past 10 years I have railed against those who believe that politics is just about pavement politics and the number of Focus that go out. Yes we do Focus – lots of them and street issues. But if that’s all you do you have simply become some sort of social worker. The practical must be linked to the vision. The short-term must be linked to the long term. In the final few days of the campaign I was amazed by the warmth and good wishes from my constituents. I well remember on the 7th one man coming out from the polling station and saying, “I have just voted for you – I don’t know what the result will be but my family and I want to thank you for the 32 years you have already served as a councillor”. The next day someone sent me a lovely letter assuming I had lost! As a I walked around knocking up people were looking me in the eye, waving, Shouting out “two here Richard” or “we’ve been”. The nicest one was seeing two Labour people knocking up a man who shouted as I walked past “We’ve been for you Richard” and gave a big thumbs up! So I believe that I had a good majority (12%) because I linked the practical and the political and will continue to do so. One of the big problems of our national campaign was that it was woolly and unfocused. Whose idea was it to produce an encyclopaedia and not a manifesto. I supported almost everything in it – it was all good stuff but it was unfocussed. It was hard to discern what our key messages were. Because we could talk about everything we effectively talked about nothing. But the most important thing about the election campaign is what started to happen from 10p.m. onwards. The massive surge in support for our Party. I received an e-mail yesterday who re-joined the Party as soon as the exit poll was announced. It wasn’t that he had a political disagreement with us in the past but he moved to Liverpool about 4 years ago and had always meant to re-join but had not got round to it. Now he wants to be an active member. Apparently more than 3,500 have already joined us after the election in addition to the 1,000+ that joined during the election. That means we have 10% more members than we did 6 weeks ago. We need to capture that enthusiasm for our basic concepts of internationalism, compassion and environmentalism captured in one word – liberalism – to create a strong left of centre liberal movement. I know that probably makes me a sad creature without a life but my adrenalin is still high. I am not going to let my Party and my beliefs down and the only way I can put them back where they belong is out on the street, campaigning, talking, arguing, partnering delivering around the issues that matter to me, my constituents, my city and my country. I hope that you will all be doing the same even if you have allowed yourself a whole weekend off!! BUT THIS IS NOT ENOUGH. We need to redefine our liberalism for the early 21st century. We need to distil key political messages about how to run an economy; how to cope with the growing number of elderly; how to provide services; who to provide services for; how the Country runs itself in an age where there are effectively no national borders. In short it needs to develop a credible intellectual base to link the practical with the vision. When the going gets tough the tough get going. I am not going to let my people, my City my Country be ground down by the likes of Cameron and Pickles. Let’s get the orange revolution going folks because as sure as hell there will never be a red one in this Country. This entry was posted in Election, Politics and tagged General Election, Lib Dems, liberalism. Bookmark the permalink.